Art AIDS America is organized by Tacoma Art Museum in partnership with The Bronx Museum of the Arts, and co-curated by Jonathan David Katz, Director, Visual Studies Doctoral Program at the University at Buffalo (The State University of New York), and Rock Hushka, Chief Curator at Tacoma Art Museum. Generous support provided by The Andy Warhol Foundation for the Visual Arts, The Paul G. Allen Family Foundation, Leslie-Lohman Museum of Gay and Lesbian Art, and Gilead Sciences, Inc. The presentation of the preview exhibition Art AIDS America was made possible by the City of West Hollywood and The David Geffen Foundation. 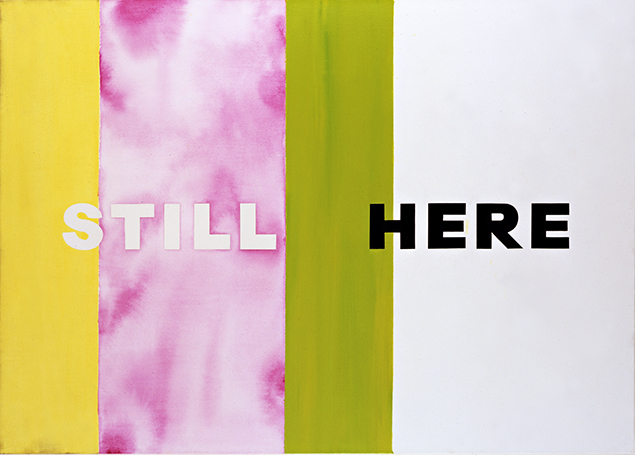 Image credits in order of appearance above: Deborah Kass, Still Here, 2007. Oil and acrylic on canvas, 45 × 63 inches. Private collection. Kia Labeija, Mourning Sickness, 2014. Inkjet print, 16 × 24 inches. Courtesy of the artist . Albert J. Winn, Akedah, 1995. Gelatin silver print. Courtesy of Scott Portnoff.